This package will bring you to Kawah Ijen Blue Fire From Sanur Bali. Enjoy This Trip ! Ijen Crater Tour From Sanur Bali – Sanur beach in Bali has an exotic beauty. Indeed, Bali is famous for its beauty and is commonly known as the island of the gods. But your trip is not perfect if you go to Indonesia, if you don’t visit Mount Ijen in Banyuwangi. There are lots of interesting things that you can witness while in Banyuwangi. With the nickname of the city of Gandrung, Banyuwangi saves a million artistic charms. But the most famous thing in the whole world, is the beauty of Mount Ijen. 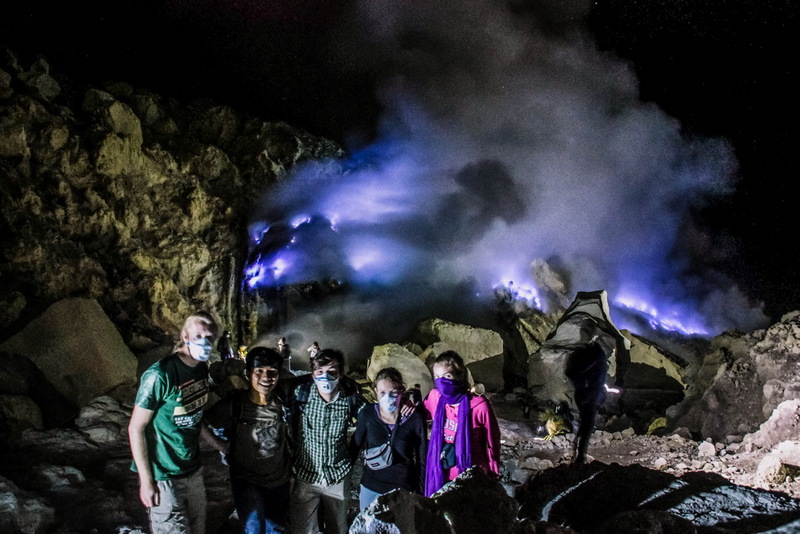 The main spot is the blue fire, the mountain range on the west side of Mount Ijen. Not only that, the unity of the green lake crater on Mount Ijen combined with a distinctive stone pattern. Amaze you with the natural beauty presented here. Kawah Ijen Blue Fire Tour from Sanur will start around 7:00 PM, our driver will pick you up from your hotel in Sanur then drive about 4-5 hours to Gilimanuk Ferry Port, it’s the harbor where you can go to Java Island. The ferry will take around ± an hour (it depends on the weather, sometimes it’s longer). Upon your arrival in Ketapang Ferry Port Banyuwangi (it’s a port in Java Island), you will be met by our local guide and heading to Paltuding (it’s the parking place and also the start point before trekking to Kawah Ijen, the ride takes around an hour from the Banyuwangi. Upon your arrival in Paltuding, you should be prepared for the night trekking such a torch light, jackets and gas mask. The trekking will take around 2 hours until the top of Kawah Ijen. 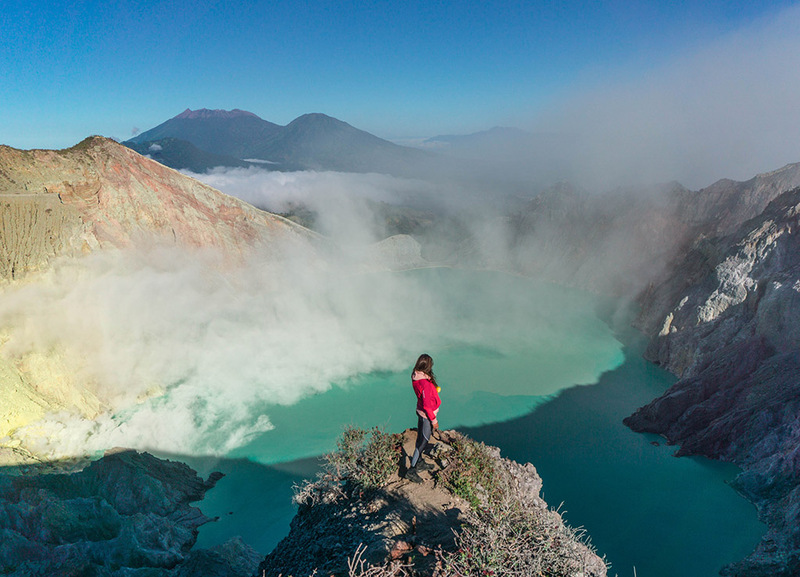 Upon your arrival on the top of Kawah Ijen, you should go down to the crater to see the most famous natural phenomenon in Indonesia, blue fire is a Hydrogen sulfate gas that comes out from the volcano in Kawah Ijen that meets oxygen in the air. It’s only available to be seen in the darkness. Beside the natural phenomenon of blue fire, you will see some miners who work there, they are taking a sulfur rock from the volcano. It’s one of the hardest job there. After capturing a thousand photo of blue fire and the sulfur mining, we have go up to catch the most stunning sunrise in East Java and you can see the astonishing landscape of Kawah Ijen. After enjoying the best landscape in Kawah Ijen, we will go back to parking place and heading to Ketapang ferry port then to go to your hotel in Ubud area. Before going back to Ubud, we will stop at the best coffee shop in the town and having local breakfast here, you can also take a shower here. You have to understand and accept that there will not be any special sleeping time at hotel along this 24-hour trip. You have to be ready to take rest/naps/sleep during the transportation time inside the car or mini bus, and during transfers on ferry boat.